The Haven Project, based in Whitstable, began in November 2016 and offers simple help and kindness to people sleeping rough in the town. People can receive a warm dry place to be, with hot drinks, snacks, a laundry and showers. In Whitstable, a number of people have nowhere to call their own to sleep at night. They rely on finding shelter where they can: a friend’s sofa, under a fire escape, in a disused garage, next to a beach hut. Other people are just a step away from this desperate situation: they suffer abuse for the sake of a place to stay. The project is run by Churches Together and based at St John’s Methodist Church. 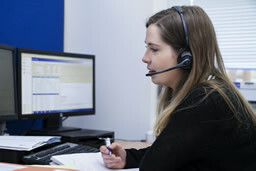 The project also receives help from other charities such as Porchlight who offer advice and support on housing. 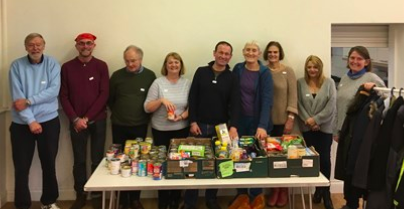 Food Bank who offer guests food and toiletries to take with them for the next few days and Soup Cellar at The Whitstable Umbrella Centre who serve a hot midday meal before church services. We are proud to have made a donation of £1000 and to have become Haven’s first ‘Corporate Friend’. In October 2018 they also received a grant from the National Lottery and together with willing volunteers it has enabled them to open for a second afternoon each week. The Haven Project is open every Monday and Wednesday from 2pm – 4pm at St John’s Methodist Church Hall on Argyle Road.